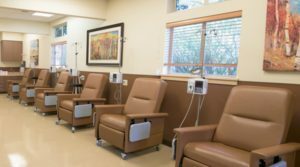 The hospital will provide air-conditioned indoor oncological/chemotherapy ward along with private rooms where patients are admitted for provision of supportive medical care through well organized and highly trained nursing staff plus one special shielded isolated room for patients receiving high doses of chemo. To complete the hospital and run it successfully, Pink Ribbon needs your generous donations. You can donate us a complete chemotherapy ward or its equipment. Help Pink Ribbon in this lifesaving cause and let’s together defeat the Breast Cancer the Save every 9th Woman who is at risk of this killer disease.